Bask in the beachside ambience of your Superior Room. 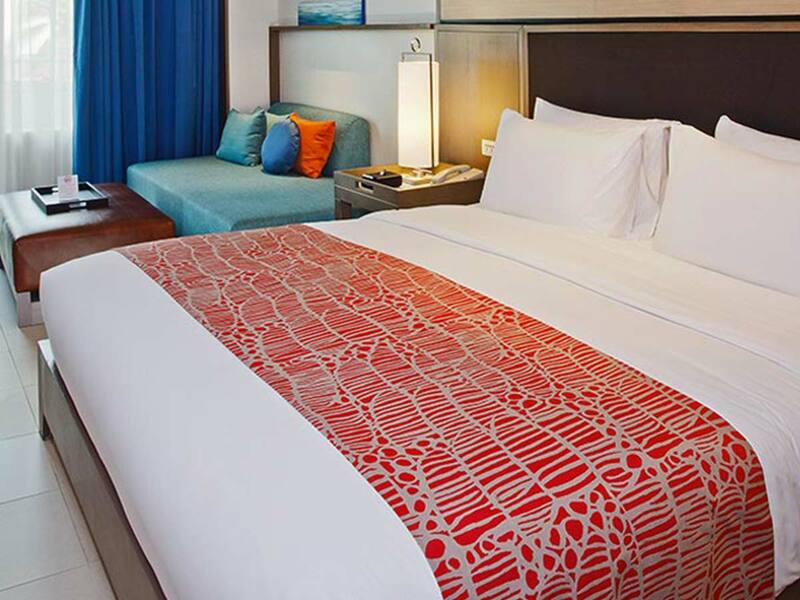 This recently-refurbished and contemporary-styled room showcases vivid blues mixed with earthy tones, reflecting the natural beauty of Patong Beach. Don’t stress about how you’ll get there. We include all the essentials, so your return airfares and luggage are sorted — just pack that 7kg bag and head to the airport. To upgrade your luggage allowance just ask our Holiday Experts. Enjoy a buffet breakfast each morning for two at Seabreeze Restaurant. Start your day with a delicious meal consisting of locally sourced foods that will provide you with the fuel you need for a day full of activities and relaxing. The last thing you want to do on your holiday is stress about how you’re going to get to and from the hotel. Enjoy return airport transfers on us to start and end your holiday in the same way—at total ease, completely relaxed. 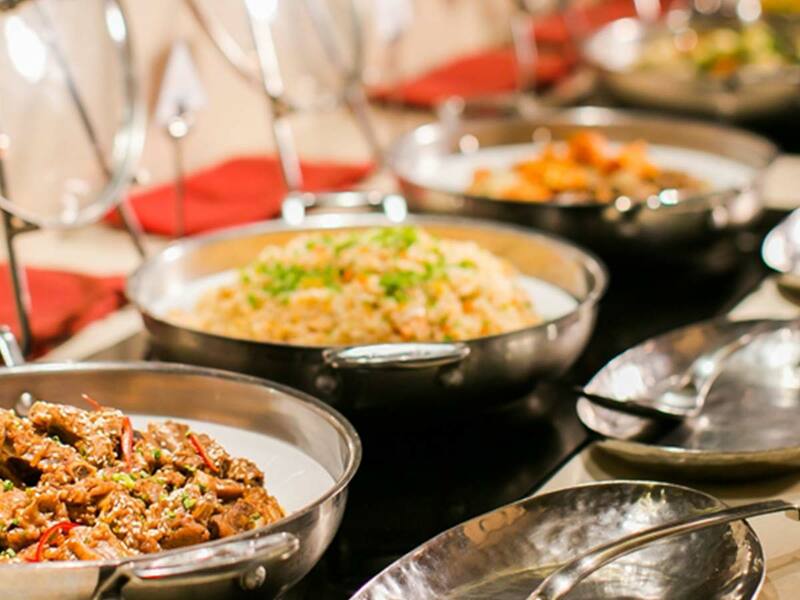 Get a taste of Thailand at Seabreeze Restaurant twice during your stay. Pull up a seat and sink your teeth into a buffet dinner for two. We know how much everyone loves a good drink. so head over to the Bar or Terrazo Bar and relax with a cocktail in hand each day. Get pampered with us. Rejuvenate your mind, body and soul when you visit Phuket this holiday. Indulge with a 60-minute massage for two at Tea Tree Spa during your stay and feel your tension completely melt away. 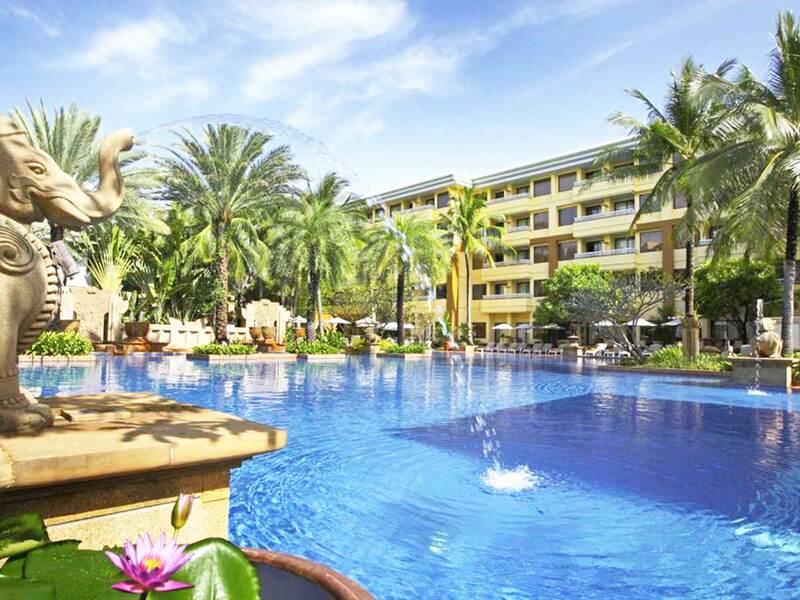 Feast and save with 15% off food and beverages Holiday Inn Resort Phuket. Get more out of your Thailand holiday and save each time you wine or dine. Located just across the white-sand, palm-fringed Patong beach, Holiday Inn Phuket offers excellent accommodation with striking coastal views. This deluxe beach resort is perfect for a romantic couples’ escape or fun family getaway. Featuring superb facilities, such as 4 pools in a sprawling tropical garden, the property is never short of things to do. 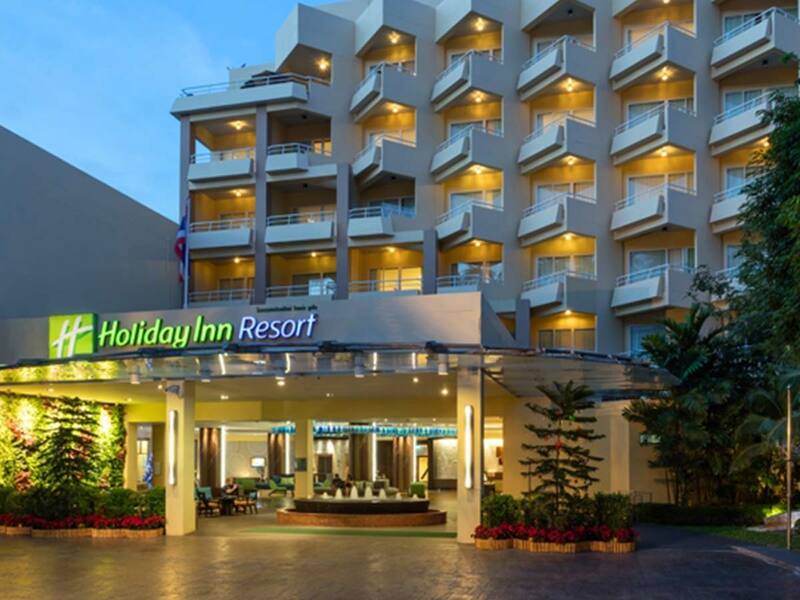 Holiday Inn Phuket is about 54-minutes away from Phuket International Airport (HKT) and less than 35-minutes away from the vibrant Phuket Town or Central Festival Phuket Shopping Mall. The infamous Bangla Road, among other local attractions, is also in close proximity. 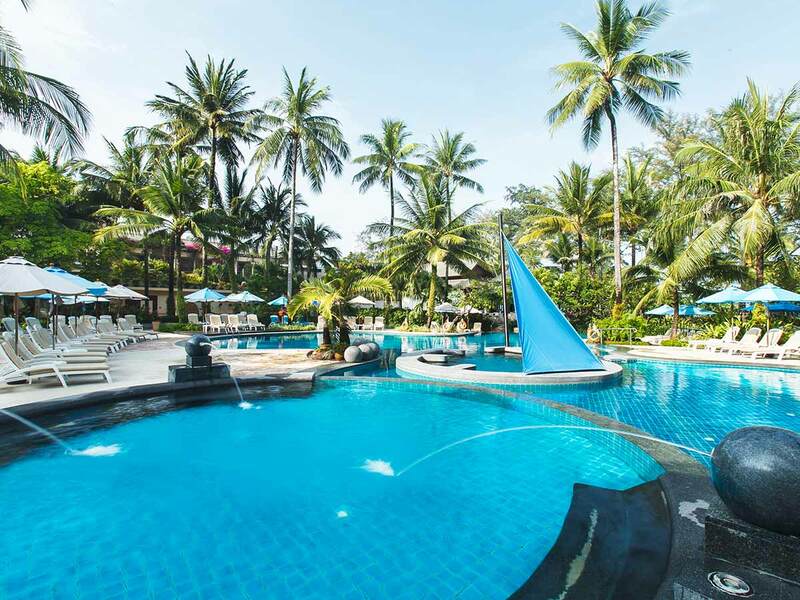 Voted as “Thailand’s Leading Family Resort” in 2018, Holiday Inn Phuket offers the ultimate tropical island retreat to guests. This beautiful beach resort boasts panoramic views of the Andaman Sea and many years of genuine Thai hospitality. The property’s family-friendly facilities include a range of dining options, state-of-the-art fitness centre, mini mart, souvenir shop, fun-filled kids club as well as extensive pools, including a kiddie pool. Complimentary Wi-Fi is also available throughout the property. With a choice of 4 restaurants, guests can feast on culinary delights from local cuisine and juicy steaks to coffees and fine wines. Need an invigorating massage or a beauty treatment? Sink into bliss at the Tea Tree Spa. No visit to Phuket is complete without getting a traditional Thai massage. Single supplement available from $590 based on ex Adelaide in a Superior Room . 9 Months interest free available from $56.37 per week for two people Ex Perth .